Shia LaBeouf has unveiled yet another piece of online performance art, and this one is aimed directly at new President of the United States Donald Trump. On the day of Trump's inauguration, LaBeouf announced a new project called "HE WILL NOT DIVIDE US," which is live-streaming footage from a camera installed outside the Museum of the Moving Image in Queens, New York. You can watch the live stream at the official website hewillnotdivide.us. At the time of this writing, the live-streamed footage consisted of Jaden Smith (actor, rapper, and son of Will Smith and Jada Pinkett Smith) alongside others chanting, "He will not divide us." LaBeouf was not seen in the video. The stream began at 9 a.m. on Friday, January 20, Inauguration Day, according to the announcement on the site, and invites the public to "deliver the words 'HE WILL NOT DIVIDE US' ... repeating the phrase as many times, and for as long as they wish." The site says the live-streamed project will exist "continuously for four years, or the duration of the presidency." 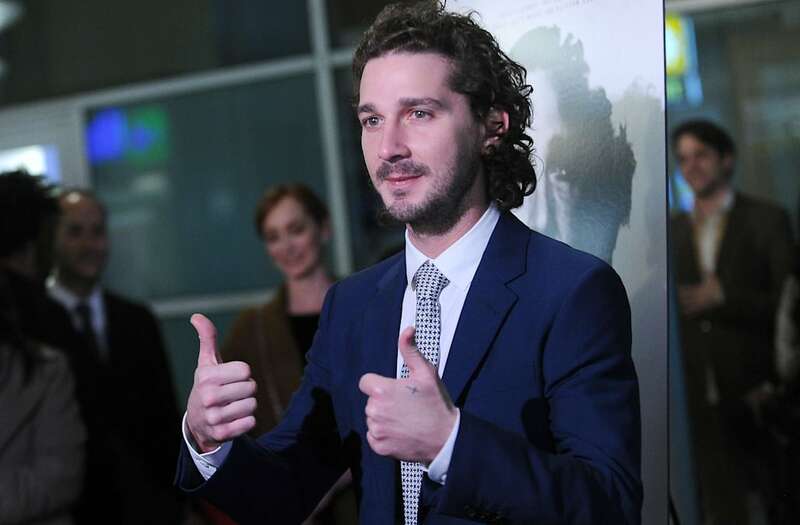 LaBeouf is working on it alongside his art collaborators Nastja Säde Rönkkö and Luke Turner. LaBeouf previously staged #ALLMYMOVIES, a live stream of the actor watching all the films in which he starred. I'm trying to be a respectful diligent American rt now but as I start to watch this inauguration- Regression is the word that comes to mind. It's a great day to watch infomercials! Trump’s inauguration will be protested in all 50 states and 32 countries, making this the highest attended 3 Door Down concert to date. For the first time I will not be watching or listening to anything "inauguration." I agree with everything he's saying and nothing he's doing. One nation under Goldman Sachs. On my to D.C. for the Woman's March. My plane is so fired up and totally awesome. for the first time in eight years, Jews can breathe freely in this world. May it continue! In these times, unite in kindness, deeper understanding, compassion, love, and knowledge. Make sure the truth keeps its meaning. May God bless our new President Trump & his family, may God bless the Obama family and may God bless us all in the United States of America! All of the jokes/parody/comedy aside, let's stop for a moment to take a full account of where we are. This country is lost. It's in trouble.